After a period of limited regulation, the payday loan market has undergone some significant changes in recent years, though it’s still an area that requires careful customer navigation, which is why we’ve created the Smart Money People guide to payday loans. 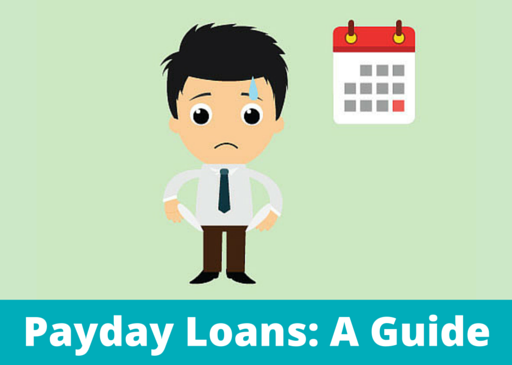 Our payday loan guide is here to outline the facts, bust the myths, and introduce you to experiences from real payday loan customers. 1. So, what is a payday loan? a) What’s the average size of a payday loan? b) Who regulates payday lenders? c) Will payday lenders be banned? d) Are there alternatives to payday lenders? e) How do payday lenders make money? f) What’s the difference between a payday loan and a personal loan? 3) Has the payday industry cleaned-up its act? 5) How do payday loans affect your credit rating? 6) What happens if I can't keep up with payments? 7) Which company offers the best payday loans? A payday loan, also sometimes referred to as a short-term loan, was designed to be used as a cash advance to cover expenses you may not have anticipated. The idea is to ‘tide you over’ until payday when you’re able to pay the cash back. Many payday loan providers now offer the option of slightly longer loan periods, typically around three months. Click here to view our best payday loan companies. There’s no definitive answer for this question, but MYJAR Limited’s financial statements showed that its average loan value was £201.74 in the 9 month period ended 28th February 2015. Payday lenders are now regulated by the FCA (Financial Conduct Authority), who have introduced more restrictive regulation (including price caps), which has driven many payday lenders out of the market, and helped to improve standards in the industry. If Google has its way, yes! But away from Google, while there remains customer demand for payday loans, it’s hard to see a blanket ban being imposed, although clampdowns on any bad behaviour identified is likely. Credit Unions have often been touted as alternatives as they also offer short-term loans, but better financial terms. However they currently do not offer effective competition when it comes to speed and convenience. So other than Credit Unions, most people are left with borrowing money from family and friends or better budgeting. A personal loan from a bank typically involves borrowing slightly larger sums (usually five thousand pounds upwards) with repayment terms of between six months and several years. However, interest rates on personal loans tend to be far more favourable than payday loan borrowing. As a result, you will generally require a better credit score and history in order to access personal loans because providers will want to be confident that you are able to manage the debt. 3. Has the payday industry cleaned-up its act? Many financial bodies including the OFT have expressed concerns that payday loans have been too easy to obtain in the past and this has resulted in some unscrupulous lending. In response, steps have been taken to increase the regulation of lenders as well as protection for consumers, including a cap on how much customers can be charged overall for payday loans, and guidance on how providers should treat those experiencing financial difficulty. It’s also worth noting, that since the FCA have been in charge of regulating payday loan firms, hundreds of firms have left the market, leaving ‘better’ companies in the market. That said, just this month (July 2016), the debt charity StepChange called for a ban on cold calling from payday loan companies to ‘sell’ payday loans. StepChange. A survey they carried out reported that 59% of adults had received at least one call offering them high cost credit, with a staggering 8% saying that they received more than one call a day. If someone calls to offer you a payday loan it gives you very little opportunity to compare and contrast what’s on offer with the wider market, so this is unlikely to offer the best value for money. Similarly doorstep lenders, such as Provident Personal Credit who come to your home may also seem like a convenient way to borrow money, but could cost you more in the long run. 5. How do payday loans affect your credit rating? A payday loan may seem like an answer to your immediate financial woes but taking one out could result in future complications. Even if you make your payments on time you could still find it difficult to obtain other credit in the future, including mortgages. This is because payday loans show up clearly on your credit history and potential borrowers can see when and how often you have relied upon them. Just one payday loan could make you appear to be a riskier borrower to lend too. If you’re considering a payday loan because you have little or no credit history there may be a more favourable borrowing options open to you. To investigate your options you may want to check your credit score. Our blog post Should I pay for a credit check? outlines how being aware of your financial health could help you to access better financial products. In addition, credit report services from companies like ClearScore, Noddle and Experian could help match you with products that are likely to be open to you and guide you through how you can improve your score to access more financial products. 6. What happens if I can't keep up with payments? If you have any concerns that you may miss a payment on your payday loan it’s important to take action as soon as possible. The OFT Irresponsible Lending Guidance means that if you notify your lender you should be treated fairly and given reasonable terms. This may include freezing interest and suspending charges while agreeing a new payment plan. They also have a responsibility not to harass you by bombarding you with communications such as phone calls and emails. Whenever you make contact be sure to keep evidence of what was said and agreed. If you have a continuous payment set up from your bank account you may need to contact your bank and stop the payments if they are going to cause you to go overdrawn or miss important bills but it’s important to notify your payday lender about this in advance so you can try and make other arrangements with them. Don’t be tempted to take out further borrowing in order to service the debt you already have as you may find that your finances soon spiral out of control. Missing payments is highly likely to mean you will be charged more than the original sum agreed, however, this is now capped at twice what you have originally borrowed. 7. Which company offers the best payday loans? Overall, our payday loan reviews demonstrate that customers are on the whole positive about their payday loan experiences. We recently ran the Consumer Credit Awards, in which a number of payday lenders performed well. These included Sunny who took home ‘Best Short Term Loan Provider’. When searching for a payday loan, as with all financial products we’d recommend doing your research thoroughly to compare different providers and to find the best fit. Do you have a payday loan review that you’d like to share? Your feedback could help other people, so why not write your own review today?